Your potential audience lives everywhere! Why limit your release to just one country? 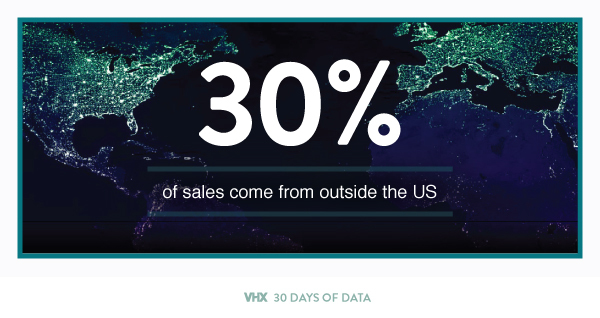 Over 30% of sales on Vimeo OTT come from outside of the United States. And for some films, like Sound City , it can be as high as 50%. Luckily, the internet is international. Launch worldwide from the beginning, so your global fans have the chance to become customers.